Excuse me while I channel my inner Bill Pullman and say tomorrow… pause… “we celebrate our Independence Day!” Yep, tomorrow is the Fourth of July – a day for barbecues, summer tunes, booze, and fireworks – probably in that exact order. Well, today’s two artists featured on A-Sideswould make solid additions (and a nice detour) on your holiday playlist which will include Robin Thicke’s “Blurred Lines.” Damn that song is catchy, and, um, played every six minutes on the radio. Anyway, Alessi Laurent-Mark is our first artist of the day. The London singer/songwriter performs as Alessi’s Ark with a group of rotating musicians, and just dropped her third album The Still Life. 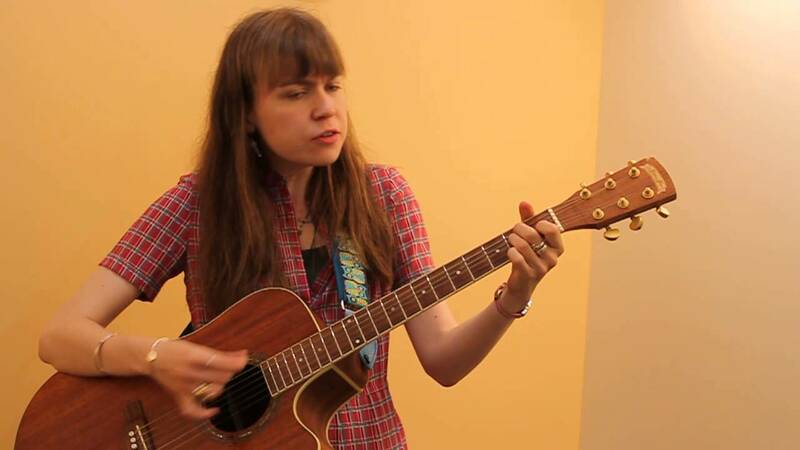 Late last month, the dainty (and I mean that complimentary) folkster performed a track and discussed her music at the Music Conservatory of Westchester for an A-Sides session. Watch the enchanting performance of “Tin Smithing” from Alessi’s Ark below followed by an interview. As you’ll see and hear there’s an honesty to her music and her personality that this industry solely needs. The next band, A Great Big Pile of Leaves, hail from Brooklyn like so many indie rock acts nowadays, but they come off as authentic rather than wanna-be hipsters. The indie-pop-rock foursome just dropped “You’re Always On My Mind” this week, and three of them performed “Snack Attack” late last month on A-Sides. Check out their performance in the Conservatory parking lot below followed by an interview. Happy 4th! 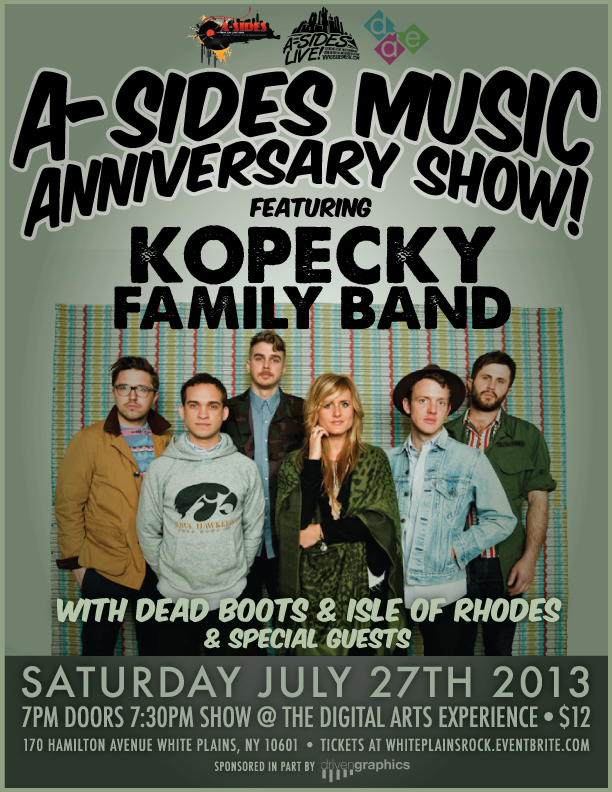 The A-Sides Music is holding its second anniversary with a concert in White Plains featuring MTV buzzed-band Kopecky Family Band, Dead Boots, and Isle of Rhodes on Saturday, July 27, 2013 at The Digital Arts Experience at 170 Hamilton Ave. in White Plains. Doors 7 p.m. Show starts promptly at 7:30 p.m. Tickets $12 via www.whiteplainsrock.eventbrite.com. 11. “Blurred Lines” (LW 12) – Robin Thicke/Pharrell/T.I.